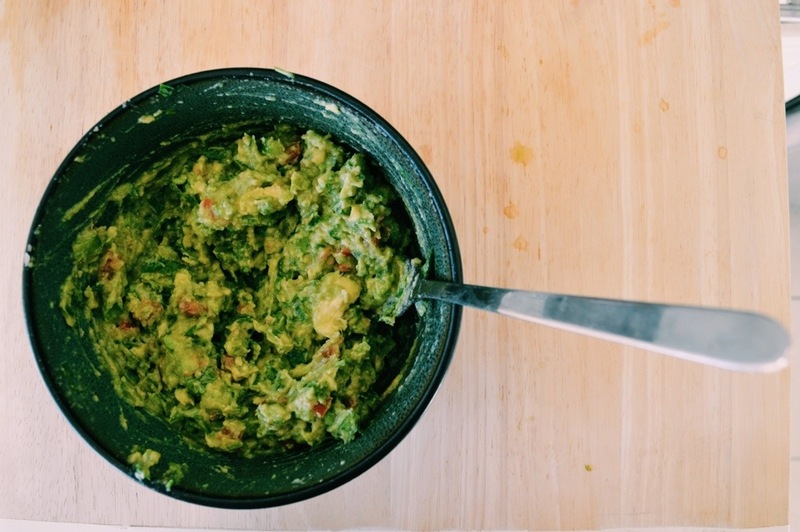 Is there anything more satisfying than a bowl of fresh guac? 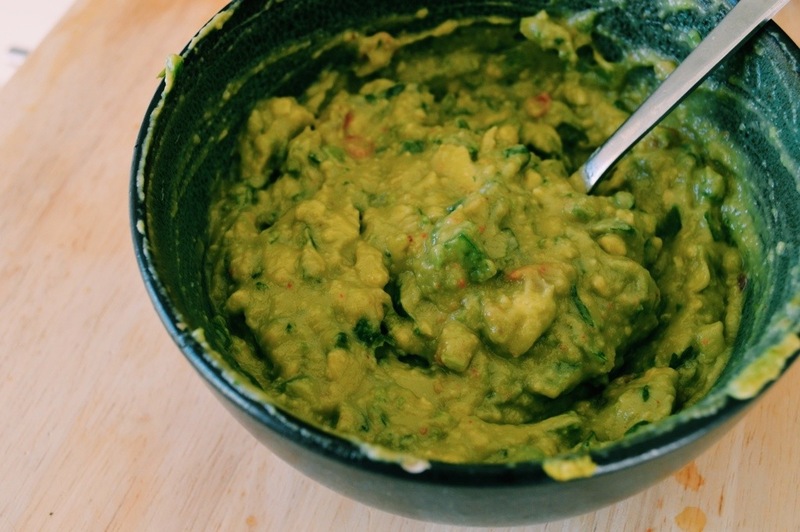 Here is how to make Jain guacamole, and a little bit about why you should incorporate more avocado into your diet. They are good for the heart: The fats are heart healthy monounsaturated fats and omega-3’s. These help improve heart health, and lower blood pressure. The monounsaturated fats are proven to help lower LDL (low density lipoprotein- a.k.a. the bad cholesterol) and blood triglycerides, while increasing HDL (high density lipoprotein-a.k.a the good cholesterol). 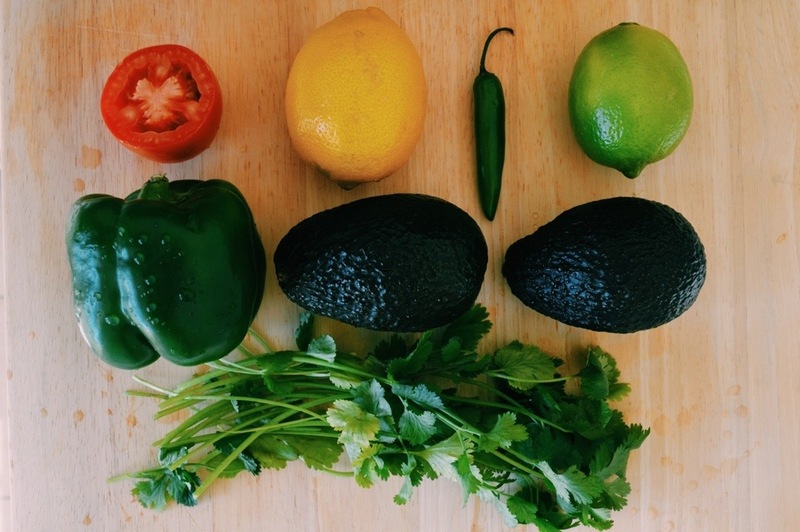 They are good for the eyes: Carotenoid leutein is an antioxidant found in avocados that is important for protecting eyes from oxidative stress which can cause poor vision, degeneration, and cataracts. 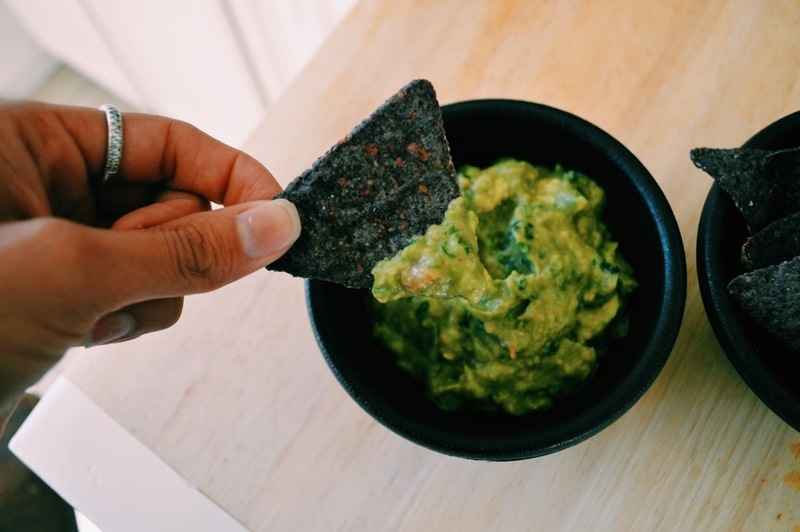 They are good for the blood: Blood pressure can be significantly reduced with omega-3 and oleic acid, and the high potassium content provided by avocados. The monounsaturated fats and highly soluble fiber can prevent insulin resistance, a source for type 2 diabetes. They are good for the tummy: Reduced inflammation in stomach and small intestine by nutrients and enzymes found in avocados improve the body’s ability to digest and absorb the good stuff. They are good for the anti-‘s: Anti-aging– yeah, avocados might help you stay young; the antioxidants help liver and nervous system function, and are important for immunity. 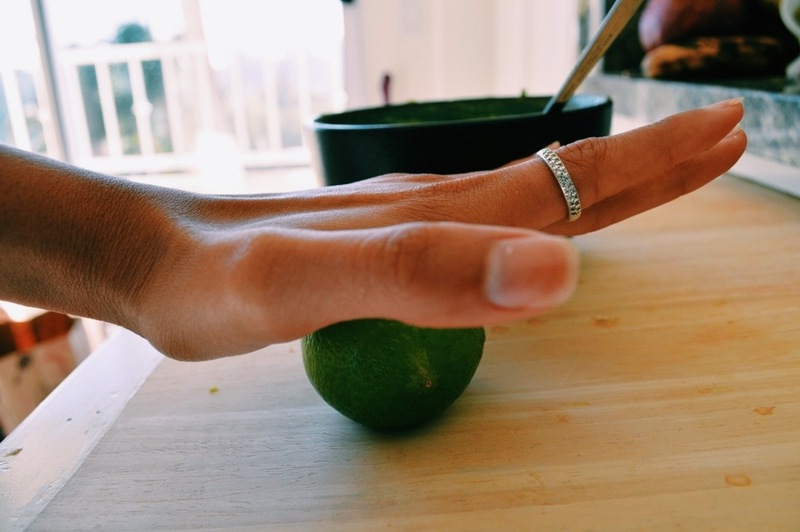 Anti-inflammatory–phytonutrients and flavonoids found in avocados are anti-inflammatory agents, great for prevention of non-contagious diseases. They protect you from the big C: Cancer. 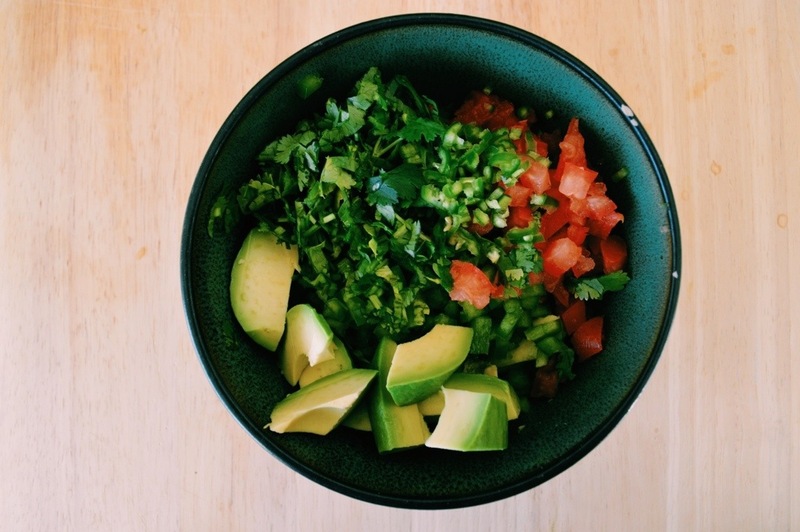 Avocados have been shown to protect against breast and prostate cancers. Roll out the lime and lemon to make them easy to juice. Wash and cut off the bottom 1-2 inches of cilantro stems. Finely chop cilantro, tomato, green chilli, and bell pepper. Dice the avocados. 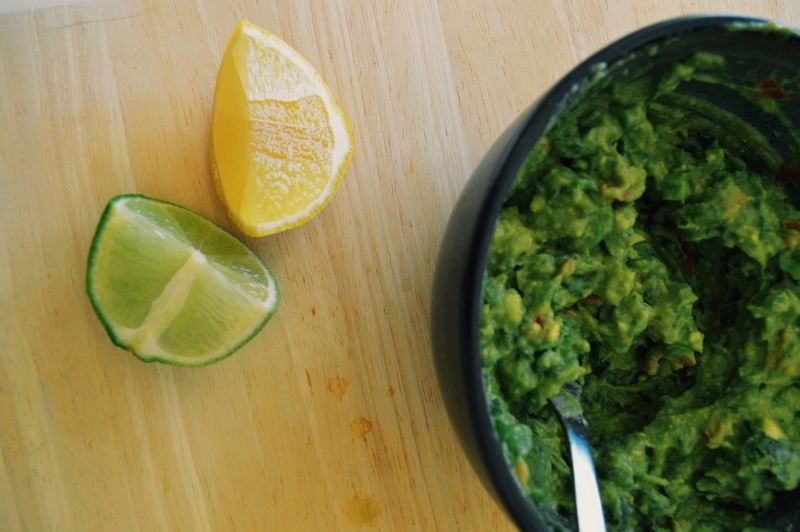 Toss everything in a bowl and get ready to do the guacamole mash. 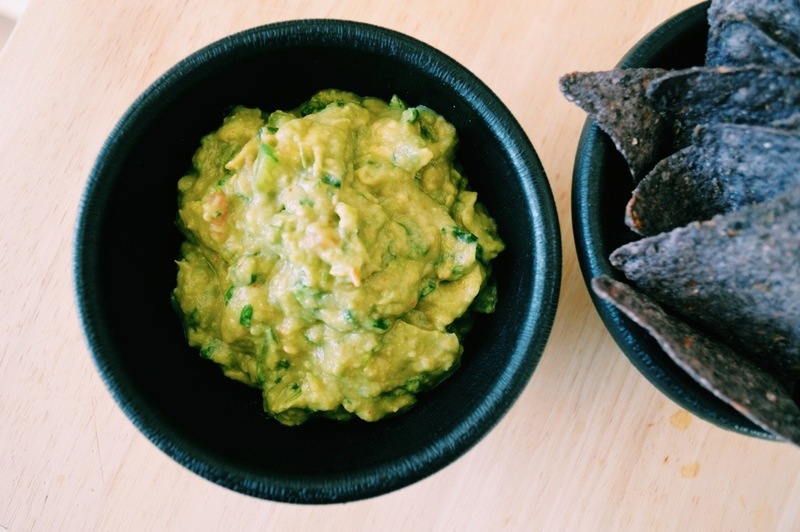 The bell peppers help replace the texture of onions in the guac to make it Jain! Use any color you prefer. 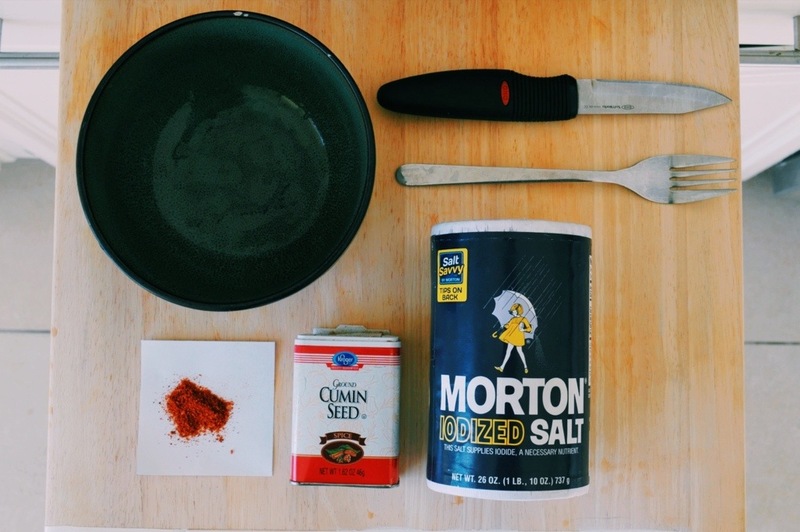 Use a fork or masher to guacify the ingredients. Add in cumin, chilli powder, lemon juice, lime juice, and salt. Alter quantities to fit your taste bud desires. Add lemon juice/lime juice as needed. Want it spicier? Try a kick of cayenne, splash of tabasco, or chopped fresh habanero! 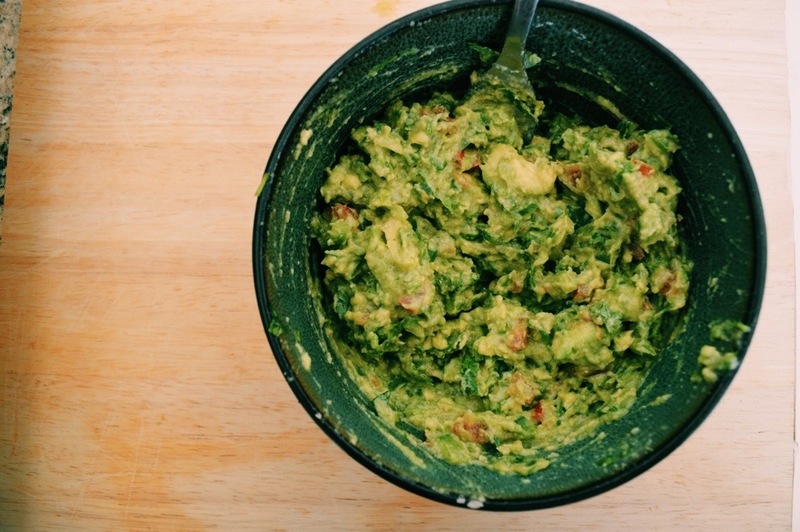 Once at desired consistency, get ready for a guac-attack! 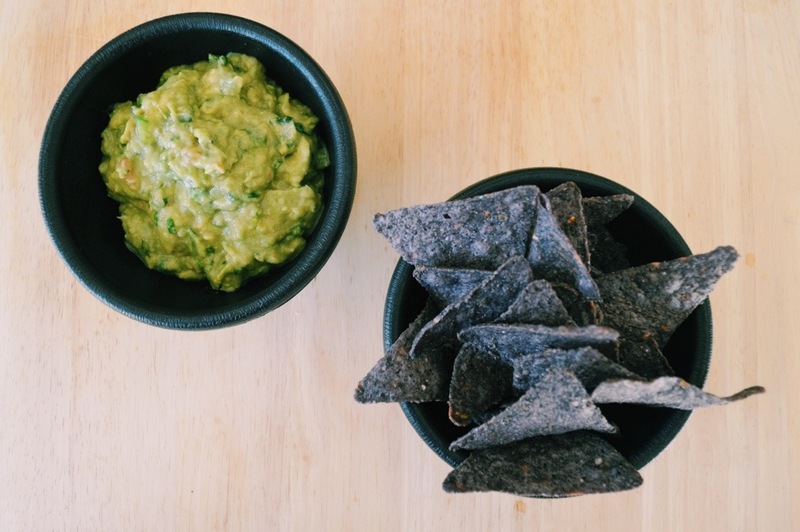 Serve with organic blue corn tortilla chips, spread on toast, toss in a salad, quesadilla, sandwich, burritos, fajitas, or whatever your heart desires. Also feel free to experiment with different mix-ins: try pomegranate arils, mango chunks, grapefruit, corn, cojita cheese, oaxaca cheese, basil, roasted tomatoes, garbanzo beans, edamame, pistachios, or goat cheese.